Growing up in Montana, most of my dad’s friends would start a conversation during the hunting season with, “Get yer elk yet?” It was known that a fair amount of your time would be spent covering the high country in search of elk. When someone else managed to harvest an elk, people would learn about it and want to hear about the hunt. Basically when we weren’t hunting elk, we were talking about it or pouring over the map planning the next hunt. So how does one go about increase their odds of getting an elk in the freezer? I decided to look at some elk harvest data in Montana. (Much of this can be found on Montana FWP’s website.) Overall, based on statistics from 2007 to 2013, elk hunters in Montana saw about a 15% success rate with an average of 8 days of hunting per hunter. Looking closer at the very timbered and mountainous Region 2 where I spend most of my time, the hunter days stayed the same, at about 8; however the success rate dropped to around 2.5%. So before opening day even gets here, you know you are going to have to work at it based on the data alone. I decided to take a look at my own success rate over 23 years of hunting, which came out to around 78%. Have I been abnormally good at hunting? 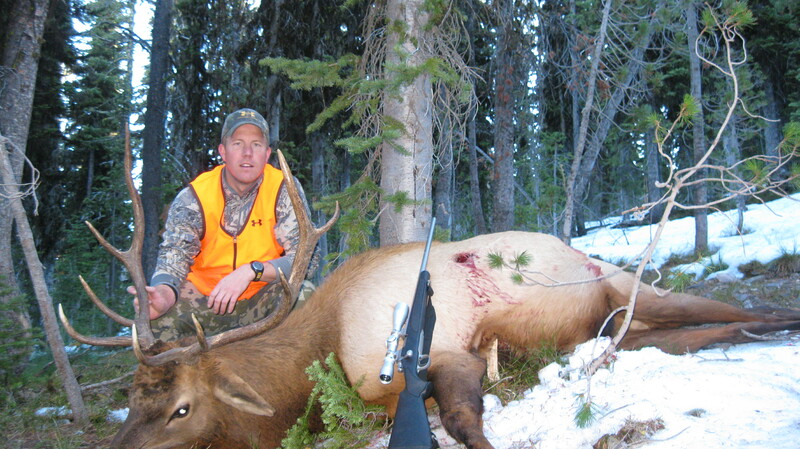 Did my “uncle’s private elk hunting ranch” factor into my success? No, I pound the same public land ground that everyone else does, coming back to camp in the dark, tired and ripe with stories of the high country. The key, however, is in the hunter days, wherein I average around 30-plus days a year. If I’m going to get an elk, it usually happens within the 10- to 20-day range. In 2011 I had a cow tag and was struggling to track down any elk, even a cow. Many of you may have experienced the curse of the cow tag. It became a joke in camp. They’d ask how many days I was in now; I’d answer “27 days so far,” then “30 days down today.” On day 32, after about an hour in the dark hiking up a steep mountainside, I came across a herd of 8 elk grazing in an amazing meadow. I was able to harvest a cow from the herd without being spotted. That was a great day. Last year I bow hunted 18 days, many in knee deep snow, in pursuit of elk, which seemed to have disappeared. On opening day of rifle season, I was back at it and harvested a raghorn bull. Would I want to harvest an elk on the first day of the season? I certainly have and would again. Meat in the freezer, right? 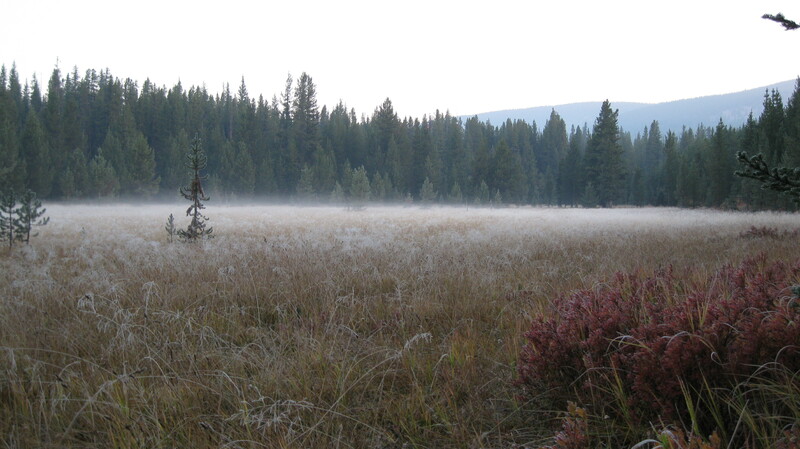 However, as many of us know, part of elk hunting is being in elk country. I look forward to it all year and can’t wait to be up in the thick lodgepole and spruce listening to the Clark’s Nutcracker making his presence known. I like to see the spruce grouse and moose in their same hiding spots. There’s much more to elk country than elk, but when you are eating those elk steaks late winter, it seems to make those memories that much more vivid.